This personalised wooden coin tray is a great house warming gift for the new home owner! Buying your first home together or moving out for the first time is a big deal! 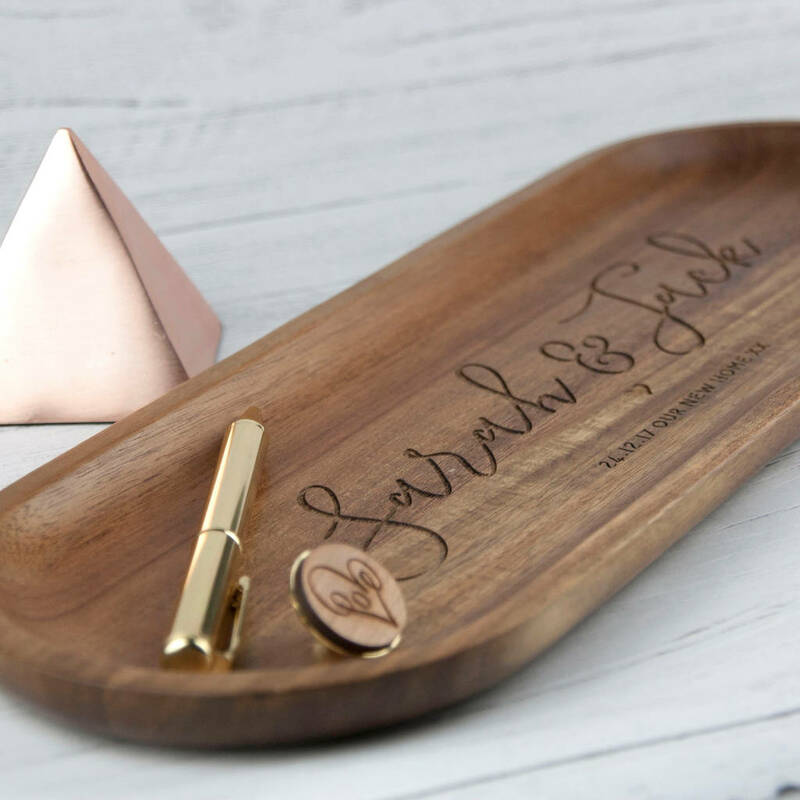 Celebrate the first 'new home' with this gorgeous acacia wood tray engraved across the front in a large script font with your name(s) and a brief, personal message below. Display the tray near the entrance to hold keys, coins, wallets and mobile phones in one central location so it's all easy to find when rushing out the door again! Please bear in mind - wood is a natural product and the trays will vary in appearance from the one pictured. We will engrave your choice of name(s) n a gorgeous script font and the second line in a more formal font all set in capitals. It could be the name of your new home, your moving in or exchange date?